The Rose Road is a symbolic or mythical representation of your own personal Road of Life. Rather than accepting the physical world as you see it including aging and a belief in gradual deterioration, a true adventure of the spirit means improvement, change and excitement on every single day of one’s life. These are the qualities of the Rose Road. Each adventure on the Road is designed to suit the particular needs of the journeyer, the student concerned. All encompass forms of Rose Energy including Rose Reiki and Rose Seichim. At the end of the Rose Road the sacred blending occurs. This is the union of the male and female elements within ourselves designed for perfect balance and to enable us to continue the journey, this time deliberately designing our own personal Rose Road, in other words using the intricacies and delights of the rose energy to give us the signposts in our lives directing us to those things that we really want. Teilhard de Chardin, an extraordinary Jesuit priest, said that humankind is evolving, mentally and socially, toward a final spiritual unity called the Omega point. There have been many others since that time who have taken up this theme. The Rose Road is one of such beauty and independence that it really appeals to the seeker who is self-managing by nature. It also appeals to those who like some structure or understanding of where the road is headed because it is laid out or expressed in several distinct yet inter linked stages of beingness. The person must be able to work alone understanding that he or she does not need to carry anything on the journey except his or her essential self. The symbolic representations of the Rose Road are such that the kit bag is light and can be taken anywhere on the planet without excess luggage being involved. The sense of deep inner peace that this journey engenders and the ability to watch the outer world, somewhat in the way of a spectator is marvellous. Because only at this point can the truest level of detachment be practiced and the oneness be given space and time to emerge. The declaration of intention is more than it seems. It is the ringing clarion call of those who intend to make the journey and to take on, in all aspects, the results of that declaration. It is said that it can be heard in the kingdom of heaven, and it resonates there. It calls out – I AM READY. One declaration of intention is often not enough, because, as the soul returns into oneness, the sacred contract expands further and further letting us see into the beyond where previously the curtains were drawn. Usually particularly important energy days are chosen for the embodiment of this contract, and such choices seem to facilitate the ability for a direct linkage with the divinity of self. The Guardians of the Sacred Wells form one branch of the Sisterhood of the Rose. This is their abbreviated history. According to legend, after the fall of Atlantis groups of sisters fled Atlantis and settled in different geographical areas. Some journeyed to Egypt, some to Avalon and some to Asia. In the wilds of Tibet, the Nunnery of the Mystic Rose was established as a haven for those whose duty it was to learn about the importance of the symbolism of the sacred well. All the nunnery buildings were centred over a sacred well. Speculation suggests that the original nuns were responsible for housing much of the ancient knowledge relating to the history and mystery of the Sisterhood of the Rose. 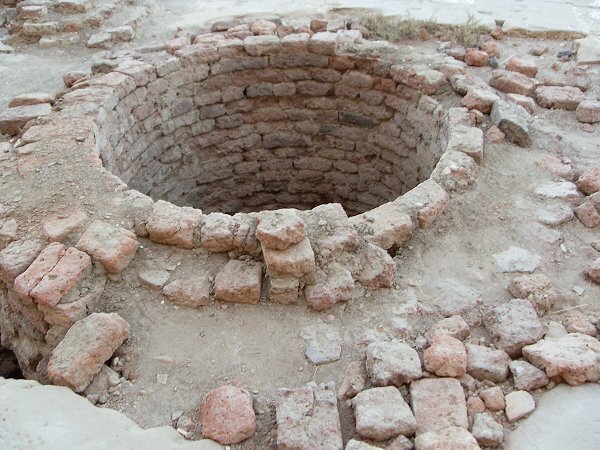 The sacred well is the secure site where the sacred scrolls are hidden. The wisdom contained in the rediscovered scrolls is called the Rose Records. These records include information about the Goddess of the Rose, which has been lost for centuries. Those who are Guardians of the Sacred Wells seem now, both as individuals and as a collective, to be remembering their true purpose. They dream, meditate or remember the sacred well and, as they do, their ability to access this information and release it in its appropriate form becomes more evident. Those who are called to such a role find it challenging. Its prime purpose involves remembrance and documentation of emerging memories. As levels of understanding increase, dreams of the wells sited in different countries have become common between those who share these memories. Should you be one of those who are dreaming the dream please contact me. It may be that your journey will be enlivened by learning the ancient art of Rose Seichim or you may simply want to share your memories. The first step along the way was learning reiki. I learnt it from a wonderful woman, larger than life, who was a nursing sister in a large Sydney hospital – in the emergency ward. She used reiki in her everyday work to calm people, to do the job that the drugs often cannot do. Things were always quieter on her shift, people more relaxed despite their grim circumstances and the staff themselves, she told me, seemed calmer. I can remember getting out of the car near her home to do the final part of the course, with a large teddy bear as my companion. The bear was to be used as a proxy so we could practice what we had learnt in the course. I looked around. Seven other people, all of us looking quite ordinary, were doing the same thing. I laughed at the sight and never forgot it. Reiki fascinated me and I went on to learn as much as I could about it, linking in as I did with the energy of Japan. It was when I came to find out about seichim that everything changed. I had known for many years that there was more to life than what I could see. I had always had a vivid imagination and thought at first that this was what it was. In the end it was seichim that claimed my heart. Its link with the feminine and the art of the possible made me realise that seichim was something really special. Well, what is it I hear you ask? Seichim teaches the art and science of transformation and transmutation. This is the world’s oldest mystery and, until now, its best-kept secret. To me it means that it is the art of the possible. I claimed, in my own mind, that it is conceivable to change one’s circumstances no matter how negative they may appear to be. I knew my mind could make things happen but I also knew that there was more to it. Circumstances had to be right. I could not just impose my will on the world. There had to be a link between what I was doing and the whole of life. And I knew that human emotions, often suppressed and not discussed, could make an amazing difference to outcomes. This was what I was searching for when I began the next phase of my studies. Later on still I realised that there was an enormous body of knowledge that linked in with the energy of the rose. I dreamt about roses for a long time and the associated meanings. I came into contact with groups of wonderful people who taught me a range of different aspects of the healing arts. I learnt to meditate, and then began to teach my sacred journeying to others. My pilgrimage continued and the collection of information about the legends of the rose and its links with energy and energetic flow manifested. And so this book began, developed and grew, until we reach the present time. There are enormous energetic changes occurring at this time. These changes have allowed many more ancient mysteries to be revealed. It is as if a curtain is being raised on knowledge that has been held in trust for centuries. So if you would like to take an adventure with me to examine my understanding of the legends of the rose, please begin by imagining you are reaching up above your head and plucking a beautiful golden key out of the atmosphere. Bring to this process your own ideas and know that you are limited only by the extent of your own imagination. Now grasp that key! The knowledge and wisdom within us has been taken through many lives, many centuries, and many experiences. Individually and as soul groups, we have held on to the knowledge, all of us. We have protected it; we have carried it down the centuries. At one time or another we have all been locked into an intricate holding pattern. The first part of understanding the rose energy lies in releasing your own wisdom to the world. This poem or declaration may trigger your memory – apply it to begin the process of release if it appeals to you, or simply create your own equivalent. Work with it for as long as it takes to open your energy field to greater levels of understanding. Because I knew there was more. How to make it our own.